"Family roots run deep. 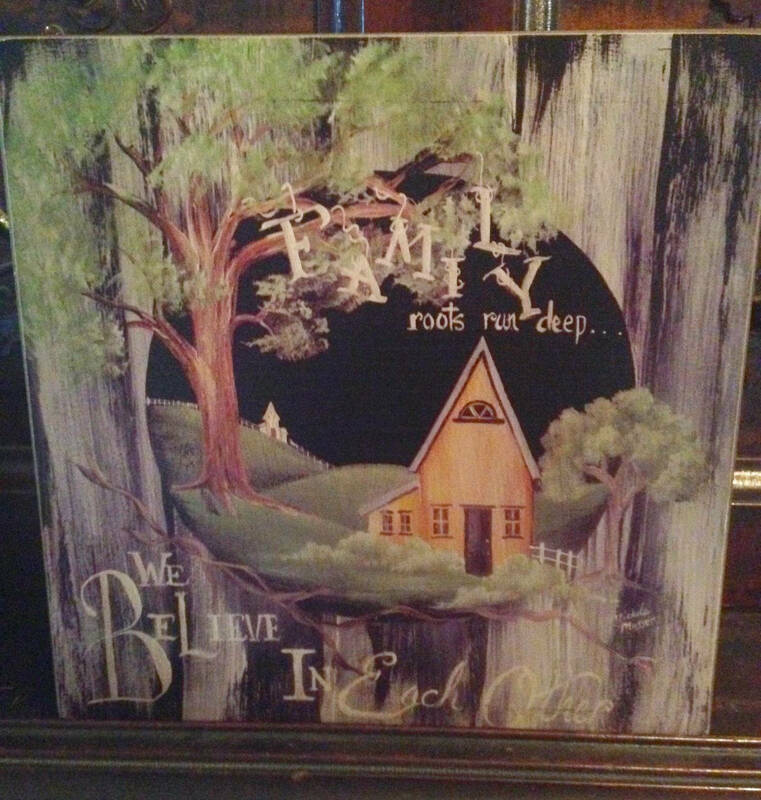 We Believe In Each Other"
Family is a priority with us so this box sign is one of our favorites. 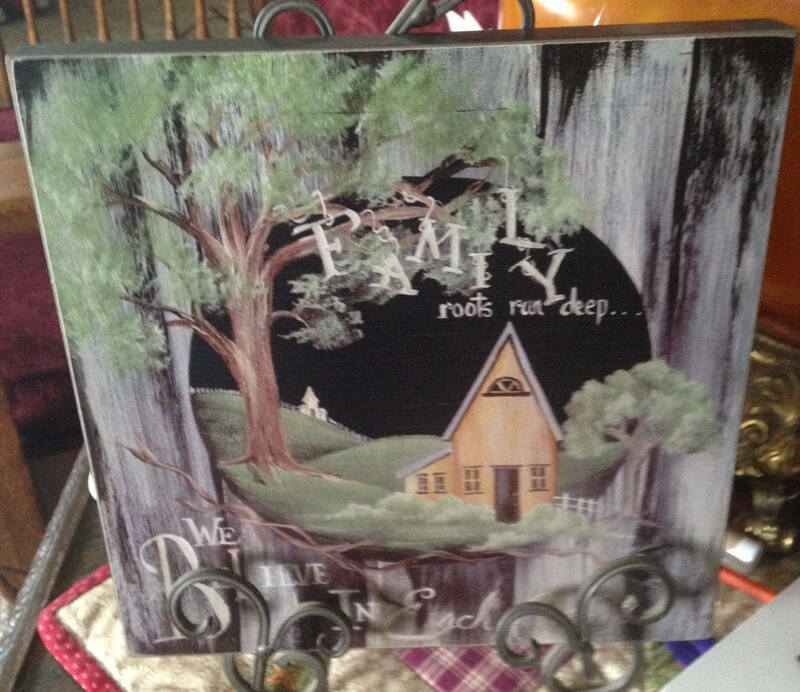 It measures 9" square and features a Michelle Musser illustration of a country scene. This box sign can be hung, placed in an easel or stand on its own.